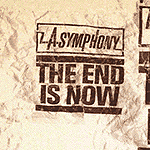 LA Symphony is a Christian hip-hop group from Los Angeles, California. 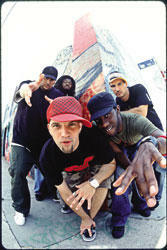 Current members of L.A. Symphony are FLYNN (also known as Flynn Adam), UNO Mas, CookBook, Joey the Jerk, and Sharlok Poems. Past members include Pigeon John and BTwice, J-Beits a.k.a. Great Jason and Trendi MC (who compose Halieyoos Fishermen with Sharlok Poems), Coy (Paul "Coy" Allen), Xpress, Gaja and Beond of Acid Reign.